You may have made a mistake, but my job is to help you move past it. At The Law Offices of RC Pate, I am in the business of defending those who have been accused of committing criminal offenses. Throughout my 10+ years of experience, I have handled thousands of criminal cases. 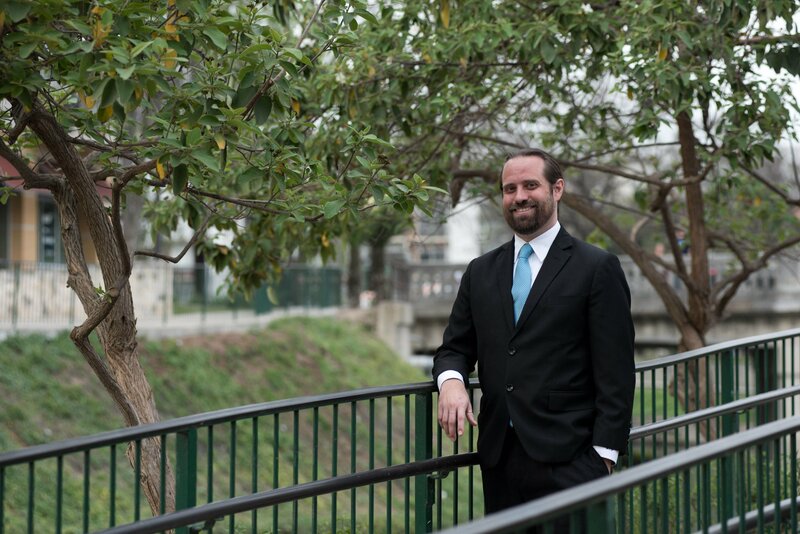 I represent clients in state and federal courts, and the track record of success I have earned over the years has demonstrated my ability to secure favorable outcomes in even the most complicated situations. The number of successful verdicts I have been able to secure for my clients over the years is exceptional. If you hire my firm, I will do everything within my power to help you reach a favorable outcome as well. I can't promise a result, but I can promise I will fight and use all the tricks in my bag. The Law Office of RC Pate was built on a solid foundation of knowledge, developing solutions that take into account our clients’ unique situations, and a willingness to fight aggresivley and think creativley to defend my clients' rights as quickly and efficienlty as possible. If you want to know how I operate my clients' criminal defense, this is it. When your criminal defense attorney doesn’t care or feel personally invested in the outcome of your case, your defense suffers. Being a good criminal defense lawyer means you need to enjoy helping people & have an inner determination to do so. I will work diligiently for a favorable outcome and to protect your freedom. The Law Office Of RC Pates primary focus is San Antonio DWI cases. It’s our bread & butter, it’s also how RC earned the nickname “The DWI Guru.” Picking up a DWI charge in San Antonio can have serious consequences. If you’ve been arrested on DWI Charges you need an attorney that focuses on DWI/DUI charges to protect your rights. Who better to call than RC? When you get convicted of a DWI, you can lose your driver’s license. No one who drives needs to be told how much that can affect someone’s life. After driving for so many years, it’s easy to take the freedom allowed by driving for granted. It’s pretty difficult to hold down a job if you can’t get to your job. In addition, if you have a job in the medical field, your medical license might be revoked if convicted of a DWI. When your job is on the line, don’t settle for a lawyer who doesn’t fight tooth and nail for you. Getting a DWI isn’t the end of it. The DWI stays on your record and if you lost your job, then it will affect your chances of getting a new one. But with the help of a good lawyer, all of this can be avoided and your life can get back to normal much more quickly. When you talk to the police for a DWI or any other reason, there are a few tips you should know. This video is a short summary of the four most important things you can do when interacting with the police, whether guilty or innocent, and for any crime. I am committed to making sure that when you need me, the chances of winning your case aren’t hurt by something as simple as how you handle talking to the police. The police are not your friends in most situations, but how you talk to them is one of the most important parts of how your case plays out. After watching this video, you won’t mess it up. Very difficult DWI 2nd case and a weapon case from the same day. I was hired after the previous attorney refused to try the case because he said it was too difficult. While it was a difficult case, I fought with the prosecutor over the admissibility of their evidence and, after many hearings, convinced the state to DISMISS BOTH CHARGES. A client was charged with stealing a car. Unfortunately, the client was caught red-handed. I was able to get the client DEFERRED PROBATION ON A FELONY. In this case, the client had a car accident and left the scene. I was able to work with the client's insurance company and the prosecutor to get him a REDUCTION and UNSUPERVISED DEFERRED. A client was a commercial truck driver charged with driving an overweight vehicle. The prosecution originally wanted over $3000 in fees. After an attack on the maintenance of the scale used to measure the truck, I was able to force the state to DISMISS the case.